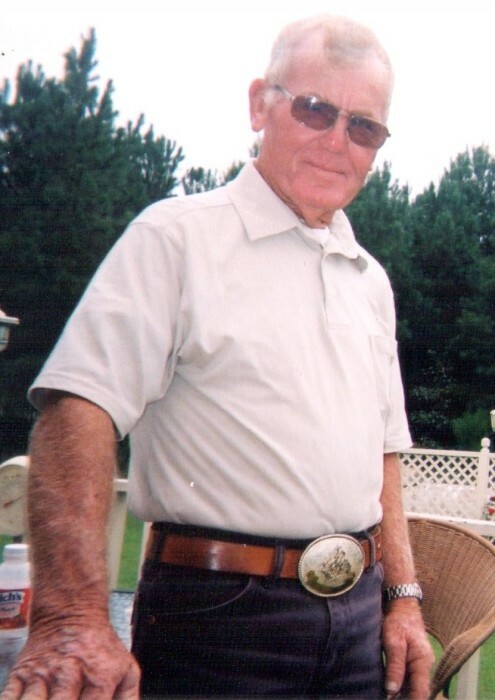 Mr. Leslie “Morris” Alphin, 81, of 8603 Garland Hwy, passed away on Monday evening, August 13, 2018 at The Magnolia Assisted Living Center in Clinton with his loving family by his side. A Funeral Service to celebrate his life will be held at 3 pm on Thursday afternoon, August 16, 2018 at Union Grove Missionary Baptist Church with Rev. Raeford Carter, Jr. officiating. Burial will follow in the church cemetery. Born on March 22, 1937 in Duplin County, Mr. Alphin was the son of the late Clarence Franklin and Dollie Mae Deaver Alphin. He was the widower of Elsie Rose Alphin and a member of Union Grove Missionary Baptist Church. He delivered lumber materials and drove trucks for several local businesses, having retired from Sampson Building Supply. He loved horses, Westerns and Dr. Pepper. He was a hard-working carpenter by trade, and country man who would help anyone who needed it, and couldn’t say “no”. He had a heart of gold and a deep love for his family. He will be greatly missed by all who knew him. He is survived by his daughter, Annette Ricketson of Lexington, SC; his son, Dennis Alphin of Clinton; two brothers: Forrest Alphin of Clinton and Ronald Alphin of Georgia; five grandchildren: Jeremy Medlin, Zackary Alphin, Dustin Alphin, Emily Medlin and Alison Alphin; and two great-grandgranchildren: Cason Medlin and Anyla Farmer. The family will receive friends on Wednesday evening, August 15th from 6-8 pm at Royal-Hall Funeral Home, and other times at the home of his son, Dennis at 8631 Garland Hwy, Clinton. 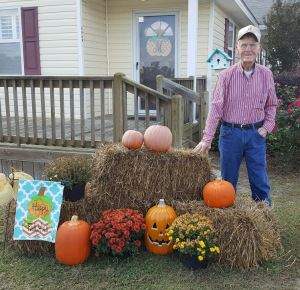 The family would like to extend their appreciation to the entire staff of 3HC and The Magnolia Living Center for their outstanding care to Mr. Leslie “Pa” Alphin. Royal-Hall is honored to serve the Alphin Family.